Voyage, the new composite decking from Deckorators, features the company’s patented Eovations technology, designed to deliver what is said to be the industry’s best strength-to-weight ratio. Eovations also absorbs virtually no moisture, which virtually eliminates thermal expansion or contraction. Deckorators says Voyage decking provides 34% or greater surface traction than other leading brands of composite decking. Vertical grain variegation is featured to give Voyage a trend- forward appearance. 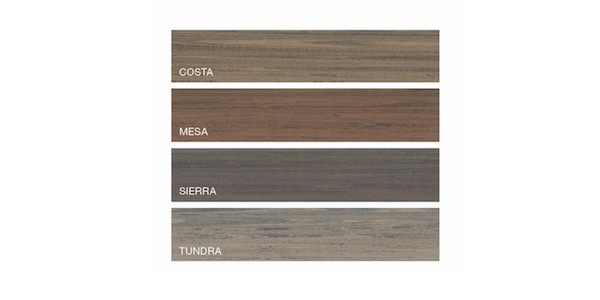 Voyage comes in four colors: Costa (golden brown), Mesa (red brown), Sierra (dark gray), and Tundra (gray). Voyage will be available for 2019 in 12′, 16′ and 20′ solid and slotted-edge profiles, as well as 12′ fascia. It is backed by a 25-year structural, 25-year stain-and-fade, and 25-year removal-and-replacement limited warranty that covers water and ground contact.